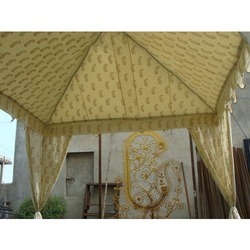 Our customers can gain an attractive collection of tradition made Pergola Tent is simply mesmerizing and available in different sizes, styles, and designs. Our tents are used in various parties, events and special gatherings. We fabricate these tents using optimum quality natural fabric, which are highly glistening and give an ultimate royal look. These tents clients can avail from us at reasonable prices. 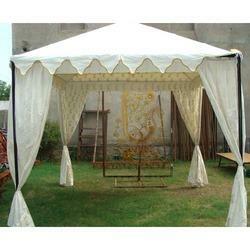 We are the supplier and exporter of wide array of Luxurious Pergola Tent. These are highly popular at parties in a wide variety of designs, patterns and color combination to suit your personal style statement. 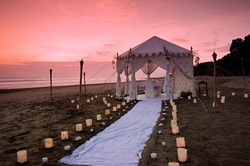 These tents are highly comfortable and known for elegant design, uniqueness, soft touch and finish. Our range of neatly stitched tents is the highlight of our entire gamut and is available in various sizes, shapes, design, cuts and styles. We made these tents using supreme quality fabric materials, which meets the quality standards. We provide an unmatched range of Pergola Party Tent, with a wide range to our esteemed clients at a comprehensive price range. These are specially designed and made under the leadership of our expert professions that are made to meet the demands of our esteemed clients. These products are waterproof and unlike conventional hardwood. Garden Pergola Tent is extremely popular in the market owing to their significant properties such as durable, reliable, elegant in design, fine finish and strong. We made these products using supreme quality materials based on well advanced procedures in accordance with the quality standards. These products are immensely used in various purposes for decoration. Our clients can avail from us these products at most competitive prices. 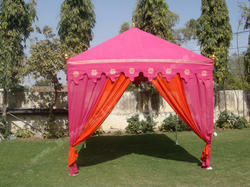 We are the exporter of wide range of Stylish Pergola Tent. 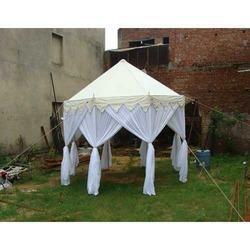 These tents are designed in compliance with latest trends of the market. 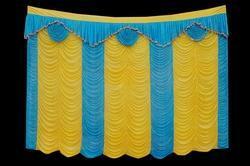 These are fabricated using supreme quality fabric and in accordance with industry. Supported with four beam or poles, our excellent range of it tents are widely demanded by our clients.